Was Romanian base a CIA prisoner site? 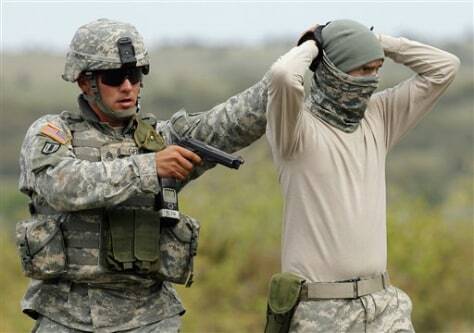 A U.S. soldier in the the Deep Steel Task Force conducts an exercise in the Babadag training area, east of Bucharest, Romania, in this Sept. 6 2007 file photo. Establishing the exact nature of Romania's involvement in a suspected secret U.S. program is crucial to building a case that alleges Washington of sidestepping international human rights conventions.